Shantou Wanshun Package Mtrl Stck Co Ltd (SHE:300057) is a China-based company primarily engaged in research, development, manufacture and distribution of environment protection ecological paper products for printing. 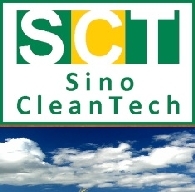 The China CleanTech Index recorded a 12.2% loss in July 2015 underperforming three its global benchmarks. The losses have been driven by the steep plunge across the board on the Shanghai Stock Exchange. With over 160 companies falling under the coverage of the Index and with a combined market capitalisation of over 2.2 trillion Renminbi (US$370 billion), the China CleanTech Index presents a picture of the Chinese cleantech industry&apos;s growth in a single measure. The best performing sub-indices for the month were the China Storage Index with a 5.6% gain and the China Solar Index with a 3.4% gain. Of the 12 stocks that recorded gains of more than 20% over the month, four of these were energy storage companies and three were solar companies. The two weakest sub-indices through August were the China Waste Index which recorded a loss of 11.1% and the China Water Index recording a loss of 2.0%.